Nathan MacKinnon has proved to the hockey world this season that he does have the makeup to be the next big NHL superstar. 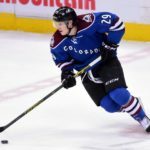 By all accounts, the Colorado Avalanche are getting full – value for the first overall pick they spent on MacKinnon that last summer’s NHL Entry Draft. On Friday night, against the Detroit Red Wings, MacKinnon was able to do something no other 18-year-old in NHL history has ever done before. MacKinnon tallied an assist with just 32 seconds remaining in overtime to help give the Avalanche to a win, making history in the process. The rookie extended his point streak to 13 games. It is the longest such streak by a player of his age, breaking the record previously held by Wayne Gretzky, who had points in 12 straight games in 1979-80. During the streak, the native of Cole Harbour, Nova Scotia, has five goals and 13 assists. Move over Sidney Crosby, you are no longer the only famous hockey player from Cole Harbour. Nathan MacKinnon has impressed all season. 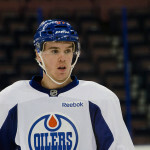 His 51 points, (22 goals and 29 assists), places him amongst the top 30 scorers in the NHL. Without a doubt, MacKinnon will win the Calder Memorial Trophy, given to the NHL’s rookie of the year. “MacKinnon, in stereotypical hockey fashion, downplayed his record-breaking performance. The Colorado Avalanche are extremely excited about the future with Nathan MacKinnon and for good reason, last season The Avalanche finished in 15th place in the Western Conference with 39 points. So far, on this campaign the team has collected 87 points good for fourth place in the West. 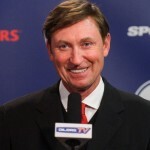 If I were the owner of another NHL hockey club I would be scared if I was placed in a playoff matchup with the Colorado Avalanche and their confident youth. 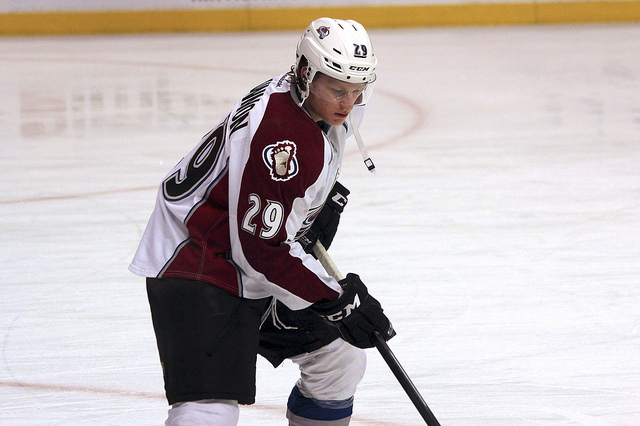 Congratulations, Nathan MacKinnon for setting a new NHL record!